After we put together our newspaper koala craft yesterday I had a brilliant idea to turn our newspaper into another Earth-friendly craft. This time we used it to make our very own beautiful Earth. 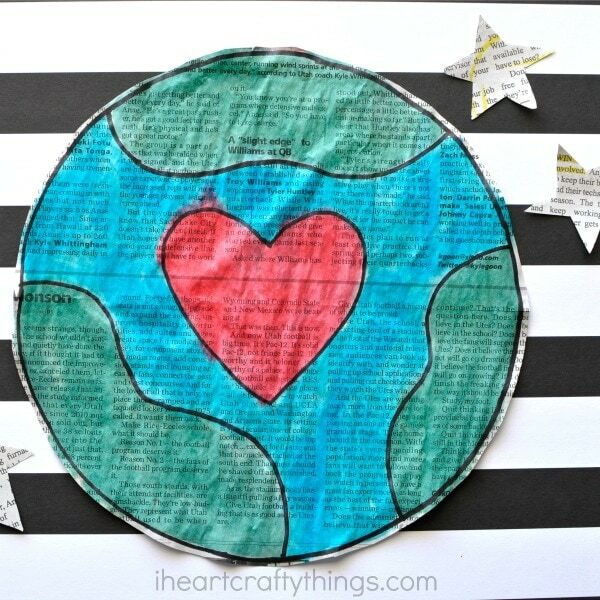 This gorgeous newspaper Earth Day Craft is a perfect addition to celebrating Earth Day this year. It is a simple and beautiful craft that leaves a reminder to how precious our Earth is and how we should love it and care for it as best we can. After all, there only is one planet Earth. 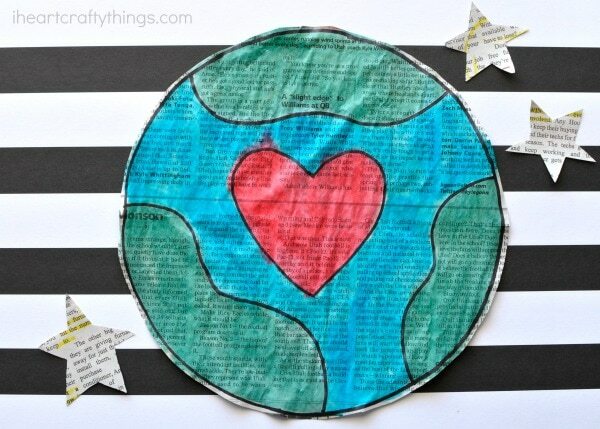 This beautiful newspaper Earth Day Craft is simple enough to make all in one day (with a little drying time) so it’s a perfect afternoon activity for kids on Earth Day. 1. Begin by using your pencil to trace a large bowl onto your sheet of newspaper. Then draw a heart in the center of your circle and a few other land masses on your Earth. 2. Use your black permanent marker to trace over all of the pencil markings on your newspaper Earth Day craft. 3. Get out your liquid watercolors. 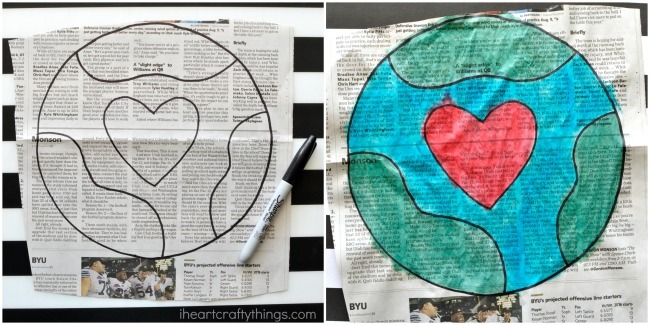 Paint the inside heart on your Earth Day craft red. Then paint the land masses green and the ocean section blue. 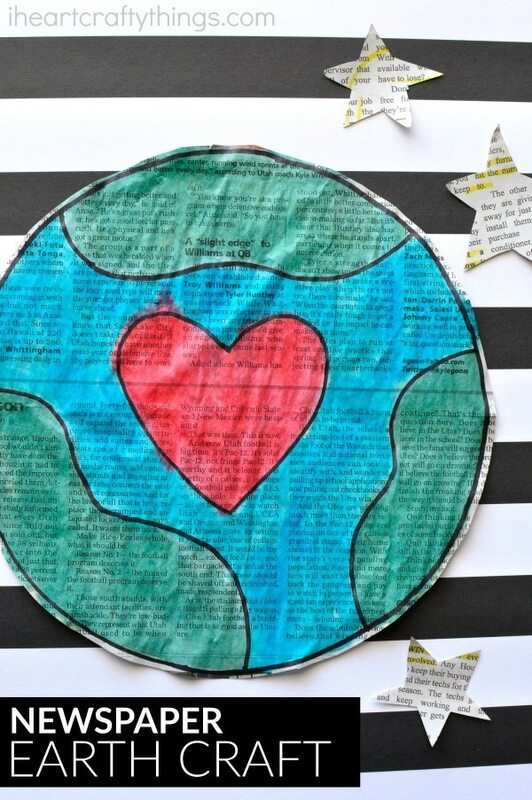 Set your newspaper Earth Day craft aside to dry completely. 4. 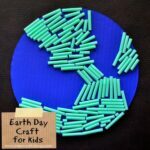 Finish your Earth Day craft by cutting out along the black edge of the Earth. Isn’t it gorgeous?! 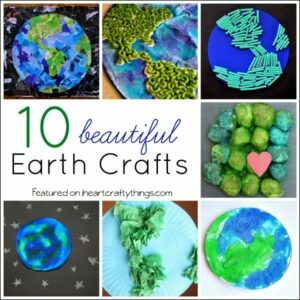 These would be fabulous hung up on a classroom bulletin display with the words “We love our Earth” or something. 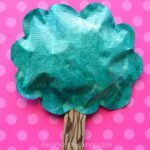 Looking for more fun crafts to make for Earth Day? 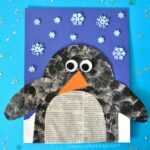 We have a plethora of newspaper crafts or you might also enjoy these 10 Beautiful Earth Crafts. Always love your recycled newspaper crafts! This one is so pretty for Earth Day! It’s super cool and easy. I love the idea. Thanks a million.